Derby Academy welcomed family and friends of students during Grandparents and Grandfriends Visiting Day on Tuesday, November 20. 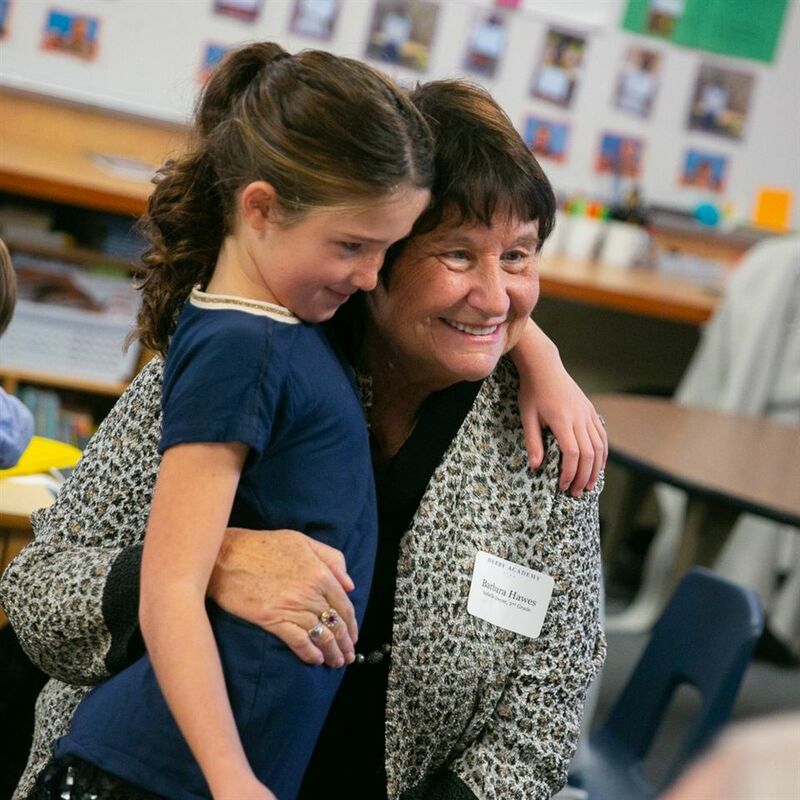 During this special day, guests and grandparents of students in the Primary and Lower School read stories, explored classrooms, and learned about what students are studying at school. Middle and Upper School students spent the day with guests in class, participating in lessons and experiencing everything Derby has to offer. During a special presentation in Larson Hall, Head of School Joe Perry, Grade 1 student Benjamin Camuso, and Grandparent co-chairs Elsie and Halsted Wheeler GP’ 20, 23 welcomed guests. Performances by music and vocal ensembles helped celebrate the special role grandparents, family, and friends play in students’ lives, and how this day reinforces the community spirit that has endured at Derby for multiple generations. That spirit extends beyond Derby’s campus, throughout Hingham, and across the country. Musical performances preceded guests of the Middle and Upper Schools attending classes, presentations, and meeting with faculty members throughout the afternoon. Thank you to all our Grandparents and Grandfriends who were able to visit Derby and share this special morning with our students!